According to a Kaiser Health News analysis of Centers for Disease and Prevention (CDC) statistics, deaths in the United States related to methamphetamines, cocaine, and opiates increased by 35% between the year ending in May 2015 and that ending in May 2017. Statistics reveal that 3 million people in the state of California alone abuse illegal drugs. Drug abuse is the number one cause of premature death in the state, beating deaths caused by car accidents, suicides, homicides, and firearms. Every year, there are 40,000 drug-related emergency room visits. 3 out of 10 fatal accidents in California involve illegal drug use. The CDC reported that over 63,600 people in the US died from drug overdoses in 2016. Of these, about 2/3 were attributed to overdoses related to opioids. The same year, there were 4,654 drug overdose deaths in California. If you live in Rancho Cordova, and have fallen victim to substance abuse don’t hesitate to seek treatment. There are enormous resources in at your disposal. With its population of 37,253,956 people, California is one of the most populated states in the country which leads the country in homelessness and poverty but this is another topic. With such a large population, it means that the state has more opportunities for everything, including drug abuse. According to the latest state figures, in 2013, more than 11,500 patients were treated for suffering an opioid or heroin overdose in hospitals across California – meaning that there was roughly 1 overdose every 45 minutes. It is also an increase of over 50% from 2006. The rate of opioid-related overdoses in Sacramento, El Dorado and Placer counties was higher than the average rate statewide. Every year, the state of California seizes approximately 800 pounds of heroin, and the rate of deaths related to the drug is increasing at an alarming rate. Heroin is an opioid drug that is produced from morphine. To get a high, people inject, snort or smoke it. When it is consumed, the drug enters the brain and changes it back to morphine. It binds from there to opioid receptors in the brain, which then causes a euphoric rush. Apart from this rush, heroin users experience less than desirable effects, including dry mouth, flushed skin, clouded mental function as well as the risk of potentially serious health complications such as an overdose. For decades, heroin was considered a drug problem limited to urban areas. However, it has since made its way to the suburbs, and also changed the face of heroin abuse from minorities to white. Apart from these changes, the entire country, including California, is experiencing a drastic increase in the use of heroin. Countless teenagers and middle-class people have reported using the drug at least once in their life with many of them falling victim to it and becoming heroin addicts. Like the signs and symptoms, the effects of heroin abuse will vary from user to the next. These effects depend largely on the individual makeup, how long the user has abused heroin, how much heroin they use, and whether they abuse other substances with heroin. The severity of symptoms tends to get worse the longer the user abuses the drug. Heroin addicts do not only become physically dependent on the drug, but they are also afraid to stop using because they fear the withdrawal symptoms they may experience once they stop using. These symptoms can develop as early as just a few hours of sustained use. A user who withdraws from long-term heroin abuse and dependence has an extremely high risk for a number of serious health complications and should seek professional medical help. The potential for addiction is extremely high with heroin. This is why the slope between use, abuse and addiction can be very slippery. However, at the outset, it is crucial to understand that there is a distinction between physical heroin dependence and addiction, and it is also critical to understand this distinction. After a certain period of using heroin regularly, an individual will become physically dependent on the drug. This dependence is indicated when, over time, the individual needs a greater amount of the substance to experience the effects they desire. The withdrawal symptoms associated with heroin can be unbearably painful. This is why even when some users want to stop taking the drug and get clean, they continue to use it simply because they want to avoid those symptoms – many say that even just the thought of suffering the symptoms is frightening. If you or a loved one is addicted to heroin and want to get clean, you should seek help from a well-known drug treatment center or rehab in Rancho Cordova, California. Professional help is the only way to recover from addiction to this powerful, highly-addictive drug. You will need the training and expertise of experienced drug treatment professionals as well as the medical services they provide. It is vital to keep in mind that before you can enter a drug treatment center, there are certain procedures that you need to go through to make sure that you find the right program to treat your heroin addiction. The fact is that no drug treatment program is “one size fits all”. A program that works for one individual may not work for another. This is why there are processes designed to help those who want to recover from addiction in finding the right treatment or program. The first process to finding the right drug treatment program is the drug addiction assessment. Its purpose is to determine if the individual has an addiction, the extent of the addiction, whether the individual has any co-occurring conditions and to help in developing a treatment plan. Typically, professionals who are trained to diagnose addictions conduct assessment in private settings. This means that any information you provide is kept confidential and only used to help in your heroin addiction treatment. Different types of professionals are trained to conduct addiction assessments, including doctors, nurses, therapists, psychologists, counselors and social workers. You will typically be assessed by multiple people, especially if you are receiving care at a drug addiction treatment facility. This helps in making sure that you receive the correct diagnosis for your condition as well as the best possible treatment to help overcome your addiction. In many cases, an assessment includes questionnaires, physical examinations, and a self-assessment. It is a fairly straightforward process. You will be given a standardized questionnaire to fill out which asks about your current drug use, health history, treatment history, symptoms, patterns of behavior, and how your addiction has affected your life. You can use screening tools such as the National Institute on Drug Abuse (NIDA) Screening Tool or the CAGE assessment. When you are looking for a place for a drug and/or alcohol assessment in California, there are numerous options located throughout the state for you to choose from. The Substance Abuse and Mental Health Services Administration (SAMHSA) site does not provide a directory for assessment services within California so you will have to contact a drug treatment center or go online for an evaluation. After the addiction assessment process, the next step is the pre-intake process, which is a simple process in which you will need to fill out a form. The professional who is conducting the pre-intake step will also provide you with a list of documents and personal items that you must bring along. Like the assessment, the purpose of this process is to help ensure that you find the right drug treatment program or to help the drug treatment professionals tailor a plan that addresses the specific issues you have and meet your unique needs. The pre-intake process might be simple, but it is a crucial one. As mentioned earlier, a “one size fits all” drug treatment program does not exist. The pre-intake is one of the ways to make sure that you receive the right treatment so that you can achieve greater success on your road to recovery from your heroin addiction. After the pre-intake process, the next step is intake. This is basically an interview where you will be asked a number of different questions, ranging from your drug of choice to your drug abuse patterns to why and when you started using drugs. The process might feel invasive, but you must remember that it is extremely important to be open and honest when you are being asked these questions as treatment plans often depend on the specific drug that a person uses and the level of drug dependency present. The intake process typically takes 1 to 2 hours. It allows the clinician or counselor – or whoever is conducting it – to get a clearer picture of your background, addiction, lifestyle and dependency issues. This is an opportune time for you to find answers to any questions you may have about your heroin addiction and the treatment program or plan that the drug treatment center has in store and also to voice any concerns you might have. When did you decide to get help for your heroin addiction? Why? When was the first time you used drugs? Which drug did you start with? Do you use substances other than heroin? If so, how often? How has your heroin addiction affected your life? What is your medical and mental health history? Do you take any medications for a condition? Are you currently employed? What is your financial situation? What is your home and family life like? Are you still close with old friends or do you only associate with other addicts now? Have you undergone treatment for your addiction before? If so, how many times? As difficult as it may be to answer some of the questions you are asked, keep in mind that they give the addiction treatment providers a better understanding of your addiction and the factors that may have contributed to your heroin dependency. The intake process also helps them determine exactly what you need and create a treatment plan that focuses on your specific needs and issues. This is the best way to make sure that you have an effective treatment plan to help you recover successfully from your addiction to heroin. Although it is not a treatment for drug addiction itself, detoxification is an important and extremely useful first step when followed by some form of evidence-based drug addiction treatment. While it is never the same for any two people, the majority of detox programs for heroin addiction treatment reflect the heroin withdrawal timeline. The drug dissipates into the bloodstream relatively quickly because it is a fast-acting substance. Therefore, it typically takes 5 to 7 days for the body to filter out any remains of heroin completely. In cases where the abuse of heroin is heavier, detox can last up to 10 days. While heroin highs are extreme, so are the symptoms that follow withdrawal from the use of the drug. It is always best to detox from heroin at a drug treatment center (you don’t want to do it in prison, as shown in the movie The Fighter!). It is the safest option, whether it is for your physical or mental health. You should also bear in mind that medically-assisted detox has a higher success rate when compared to other methods. Alternative methods can be highly risky, and in some cases, even life-threatening. There are two primary options for drug treatment centers that you can choose from – inpatient and outpatient treatment centers. After an evaluation of your addiction, your issues and your needs, you will need to decide which one is best for you. Both are equally focused on rehabilitation, but each has its own unique benefits and attributes to offer. It is important for you to understand the differences between the two before you choose a drug addiction treatment program so that you find the right program to help you on the road to recovery. Also known as residential treatment program (RTP), an inpatient treatment center requires patients to check themselves into a controlled facility to receive treatment for their addiction. This type of facility provides you with 24/7 medical care and emotional support. A typical RTP runs anywhere from 30 days to 6 months. Although less common, some inpatient programs can last as long as 12 months. In an inpatient treatment facility, you can focus completely on treating your heroin addiction and overcoming it without the distractions of daily life. Each day you spend in an RTP is carefully scheduled and accounted for. You will meet with psychologists, psychiatrists, and counselors individually as well as in group settings to guide you on your recovery. During your inpatient treatment, you will be provided constant medical care to help in preventing relapse. Clinicians are available to provide the medications and medical expertise you need to reduce cravings and withdrawal symptoms. If you need to remove yourself completely from your environment due to access to drugs or because of stress, you can benefit greatly from an inpatient drug treatment center. Outpatient treatment programs (OTP) offer a number of the services that inpatient treatment centers do. The difference is that you do not have to check yourself into a facility. You can live at home and take care of your day-to-day responsibilities while receiving the treatment you need for your addiction to heroin. In an OTP, treatment sessions are scheduled on different days of the week. Remember that for your treatment to be effective, you must attend all of these sessions diligently. When you check in on your scheduled days, you will be provided with the counseling and medications necessary for your treatment and recovery. Outpatient treatment programs come in a wide range of formats and intensity levels. Some of these programs are therapy-based and you only need to commit a few hours a day on certain days of the week. However, there are also programs that are more intense, and in most cases, these last a short period of time. OTPs typically focus on education, counseling and a network of support for patients. You will be required to participate in therapy – individual and group, medication management, classes on relapse prevention, counseling sessions, a 12-step program and more. In some OTPs, you may also have access to art or music therapy. Intensive outpatient program (IOP) is designed for patients who do not need much structure or the medical support that other levels of care offer. Enrolling in this type of program can be highly beneficial as it empowers you to live independently with support from loved ones as well as the community. An IOP is an excellent program to enroll in if you have successfully gone through withdrawal from heroin, or any other substance of abuse. Recovery from heroin abuse and addiction does not stop when your period of treatment ends. Aftercare, at its core, should be considered a type of continued treatment, which comes immediately after a shorter period of addiction treatment care, such as inpatient treatment program or intensive outpatient program. It is important to remember that addiction is a chronic disease and that to recover from this disease, you must be able to make a long-term commitment to sobriety so that you avoid relapse. With a carefully curated aftercare program, you can gain a coordinated support network to help in maintaining and building on the progress you made in your first stages of heroin addiction treatment. Structured Aftercare in OTPs: One of the two most common forms of structured aftercare is OTP, or outpatient treatment program. They usually take place in a location where treatment providers hold educational and therapeutic groups. When you first leave an inpatient treatment program, it is often recommended that you attend 5 days a week and reduce it to 2 or 3 days a week as you progress. You can live at home and attend school or find a job and work while attending your outpatient aftercare program. Sober Living Homes: Sober living houses are the other form of aftercare. The difference is that they are more structured and provide you with a drug-free and safe environment to help you transition back into a normal everyday life. Some sober living homes are for people recently released from prison or mandated by the court to live there to help make the transition into daily life easier for them, but the vast majority is for those who do not have a supportive or safe living environment. Sober living homes have rules and regulations, and you will need to be responsible for yourself. This is an important step when recovering from addiction. You will be expected to pay your own rent, buy your food and basically do everything you would if you lived in your own home. You will also need to submit to random drug testing. 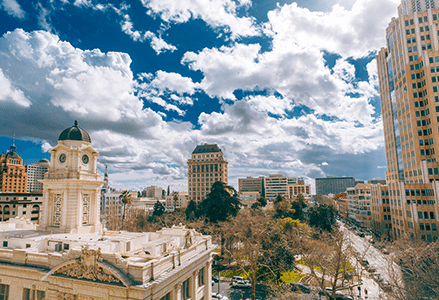 If you want help with your heroin addiction, you will be glad to know that there are many excellent drug treatment centers in Rancho Cordova, California. These facilities have everything you need to get treatment for heroin addiction. From a team of trained and experienced professionals to round-the-clock medical care to excellent aftercare programs, you will be provided with all you need to successfully treat your addiction and get you started on the road to recovery. Begin your journey in one of the top Rancho Cordova drug treatment centers and you can live a happy, healthy life free of addiction.